I love to host holiday parties here at my home. 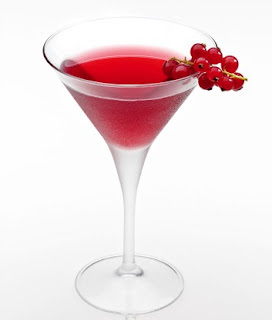 One of the things we like to serve at our holiday parties are some delicious and unique cocktails. While I admit...we do serve alcohol at our adult-only parties...we don't over-do it because we don't believe in getting intoxicated, so we keep the liquor under control. With that said, we do like our party guests to have a good time. Here are 5 delicious holiday cocktail recipes for you to enjoy this holiday season. Fill a call Collins glass with ice. Add MARTINI & ROSSI Prosecco first, then St-Germain, then Club Soda. Stir completely and garnish with a lemon twist. 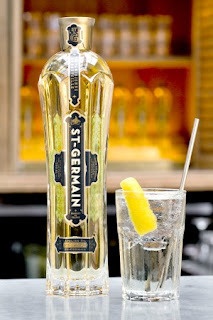 St-Germain is the quintessential liqueur for apéritifs, which are often enjoyed before a meal to stimulate appetite and open the palate. There’s no better time for apéritif moments with friends and family than during the upcoming holiday season, and the refreshing St-Germain cocktail is the perfect precursor to an indulgent Thanksgiving meal. Obtain two large metal mugs. In one, add whiskey, MARTINI Rosso, Maraschino Liqueur, and honey syrup, and in the second one the citrus peels and spices. Fire up the liquid and toss the hot mixture back and forth between the mugs a few times - it should look like you're pouring a liquid stream of fire. 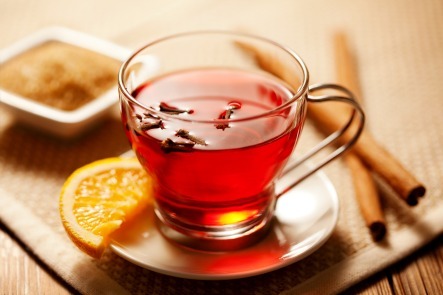 Extinguish the flames, add the Maraschino Liqueur, and pour into a Tea cup. 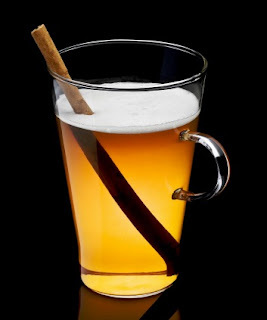 Pour warm apple cider in a mug. Add DISARONNO and gold rum. Stir. Garnish with a cinnamon stick. 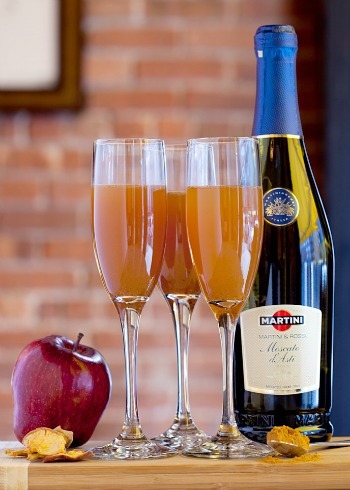 In a champagne glass, mix all but the first ingredient. Stir well. 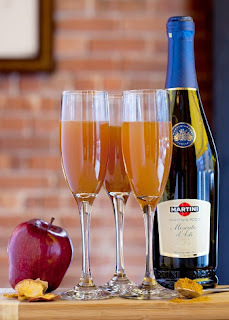 Top with MARTINI & ROSSI Moscato d’Asti. Garnish with apple chips. Disclosure: Recipes and photos used with permission. You must be 21 years of age to consume alcohol. Please drink responsibly. Since I love Disarrano liqueur the two cocktails using it are definitely my favorites. Yet all these recipes sound delicious.